The booming Philippines IT-BPO industry is plagued by high rates of employee attrition, often leading companies to promote employees due to lack of choice rather than because they are either suitable or fully ready for the role. Whilst companies have been experimenting with methods to motivate and retain staff, overall attrition rates remain high. Hence, a more nuanced approach is needed, one that adapts generic people management initiatives according to the specific personalities of your employees. To what extent does a high salary motivate and retain staff? What are the personality traits of gen Y employees and how can you get the best out of them? Download the article for free here or email us for a copy. This complimentary article was researched and produced as part of the research process for the 2nd Annual Leadership and Talent Transformation Summit, taking place in Manila 10 - 11 March 2015. The summit will bring together Asia's top talent and leadership experts from Accenture, Jollibee Foods Corporation, AIG Shared Services - Technology, DHL Supply Chain Philippines, Inc., Cognizant Philippines, Sykes and Schneider Electric among others to network and discuss specific challenges they are tackling in talent transformation and leadership development. 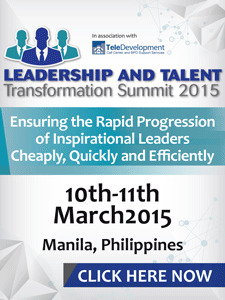 To find out more about Leadership and Talent Transformation Summit, view the brochure. Enjoy more benefits when you register as a group. Reply to this email and find out more! We all heard the Initiatives of ASEAN Integration (IAI) for years and expected something in January 2015 which is now, where the Integration is expected to boost investments, job creation, and incomes in the region. The Asean Integration aims to develop an Asean Economic Community, same what the European Economic Community have which later evolved into the European Union. "The aim is to establish a single market and probably a single trading currency in the region by 2020." 7. More innovation in our part. The Philippines is one of the signatories in the AEC Blueprint, which means the country, along with other ASEAN Member States (AMS), should be open to zero import duties for ASEAN products and services by 2015. AMS nationals, meanwhile, should be able to work anywhere in the region without a work permit. The ASEAN Heads of State at their Summit in 2000 launched the Initiative for ASEAN Integration (IAI) with the objectives of Narrowing the Development Gap (NDG) and accelerating economic integration of the newer members of ASEAN, namely Cambodia, Lao PDR, Myanmar, and Viet Nam (CLMV). The IAI main objective is to become competitive too in international market joining forces with the other ASEAN members. 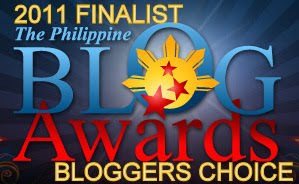 What's in it for Filipinos? Must be more projects because of the new investors, more work in different industries and must be decrease in unemployment. Manila vs Cebu - which is the right location for your shared service centre? The Philippines’ IT-Business Process Services (BPS) market is booming, but with over 75% of the total IT-BPS activity concentrated in Metro Manila, companies are increasingly competing for top talent and real estate, thereby causing providers to seek alternative delivery locations such as Cebu. But what are the comparative benefits of choosing Cebu over Manila? 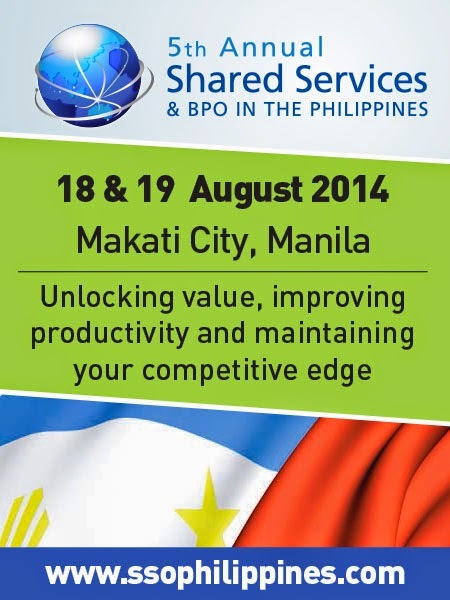 Is your SSC or BPO better off located in Manila or Cebu? Download this exclusive infographic to find out. • How many people are employed in the IT-BPS sector in each location and what is the size of the remaining talent pool?• What are the comparative salaries and real estate costs? • What are the opportunities and potential risks for sustained growth in Manila and Cebu? Want to learn more about how you can take the next big step for your shared services strategy and help [Field: Account] achieve its strategic objectives? 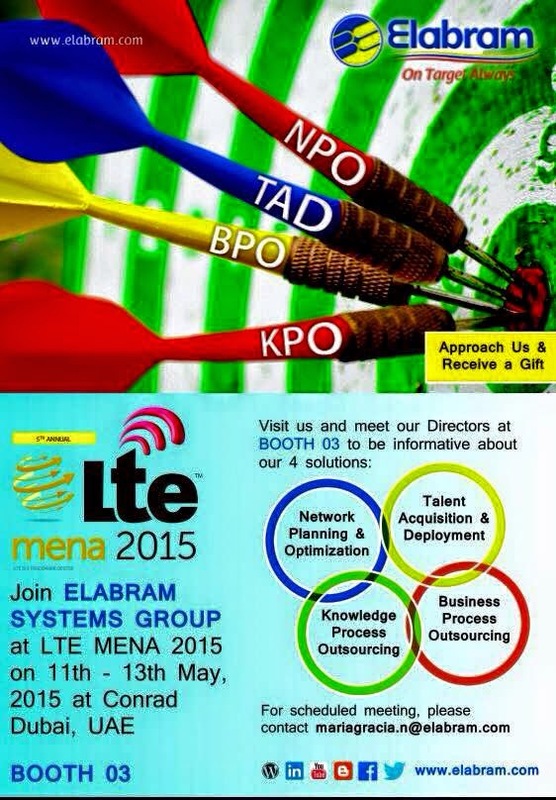 Then join me at the Shared Services & BPO Cebu summit, 10 – 11 February 2015, Cebu City Marriott Hotel, Philippines. A lot of you have mentioned that you’d like to hear from JP Morgan’s SSC so we’re very excited to announce that our latest confirmed speaker is Jason Beaber, Senior Vice President and Cebu Site Leader, JPMorgan Chase & Co.
Download the full event brochure for more info. Call +65 6722 9388 or reply to this email if you have any questions or would like to reserve your place today. PLUS! as a reader of The Tribune Post, you can enjoy 10% off of the conference ticket. I hope to meet you in Cebu next month. Join us for Asia Women's Summit on Wednesday, January 28th at the Raffles Fairmont Makati. Register at this web location: http://asia-ceo.org/?event=asia-womens-summit . Asia Women’s Summit, presented by Belo Medical Group, features many of the nation’s most remarkable women describing how they built extremely successful careers while managing family and other responsibilities. Women in Philippines rank among the most advanced in the world for their participation in the economy and politics, according to the World Economic Forum. Any enterprise that does not harness the power of the women is doomed to failure or gross under-achievement. Learn how to improve your own career and personal life by hearing how others did it. 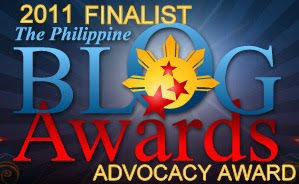 Learn the secrets of some of the most accomplished professional women in Philippines. Each will deliver high-impact 25-minute presentations and share strategies you can use to immediately improve your own professional careers and personal relationships. As well, we will feature a Men's Panel Session entitled "Defenders of Men's Contribution to Women's Success" so high profile male leaders can describe what they do to develop and promote female success at home and at the office. They will also share how it is possible for men to actually understand women -- and useful strategies for not getting killed by them. PRESENTER: Builder of the country's dominant cosmetic surgical and medical organization and one of the largest in the Asia Pacific region. PRESENTER: Oversees one of the fastest growing automobile companies in Philippines. PRESENTER: Head of the country's largest home loan provider and winner of the Public Sector Leadership award at Asia CEO Awards 2013. PRESENTER: Started as an accountant, moved up to Country Head of one of the world's largest software organizations. PRESENTER: Set up from scratch what has become one of the country's fastest growing pharmaceutical companies. PRESENTER: Returned to Philippines from regional postings with an international bank to head PBCom. PRESENTER: Head of regional finance for the country's largest engineering group. PRESENTER: Former elected Congresswomen and Anchor for ABX-CBN. PRESENTER: Starting from extreme poverty, become one of the country's leading motivational figures. Which companies are winning the battle for talent in the Philippines? What is Convergys doing to help prospective applicants meet job requirements? How does Lexmark make its employees its competitive advantage? What is “impact sourcing” and how is it helping Accenture access talent outside the major cities? Benedict Hernandez, BPO Service Delivery Operations Lead from Accenture will be speaking at the 2nd annual Leadership and Talent Transformation Summit on the 10th-11th March in Manila, Philippines. In his session, he will be sharing the future growth of talent transformation in Philippines, the trends in talent management and educational development programs, and highlighting how companies can utilise government initiatives for employees’ benefits. Early-bird offer is still available! Book your seat before 16th January and save up to US$400 off. Email me at enquiry@iqpc.com.sg to find out more or visit www.leadershiptalentsummit.com to register! I look forward to seeing you this March!